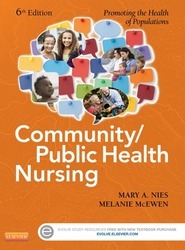 Covering the nurse’s role in promoting community health, Community/Public Health Nursing, 6th Edition provides a unique ‘upstream’ preventive focus and a strong social justice approach in a concise, easy-to-read text. It shows how you, as a nurse, can take an active role in social action and health policy - especially in caring for diverse and vulnerable population groups. Written by community health nursing experts Mary A. Nies and Melanie McEwen, this book offers clinical examples and photo novellas showing how concepts apply to the real world, and describes the issues and responsibilities of today’s community and public health nursing.